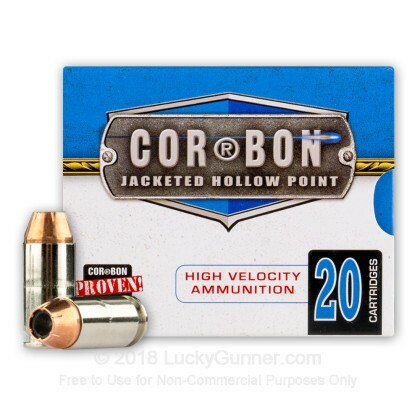 If regular .40 S&W carry ammunition isn't powerful enough for your liking, step up to Corbon Self-Defense ammo. 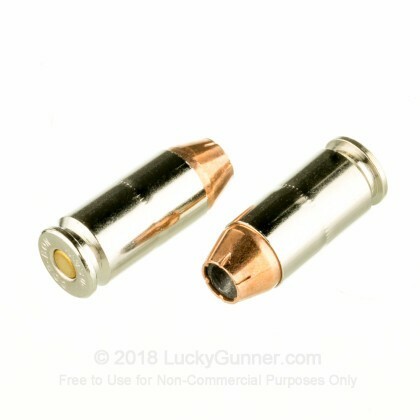 These cartridges come in boxes of 20 and fire a light 165 grain jacketed hollow point bullet at a muzzle velocity of 1,150 feet per second. 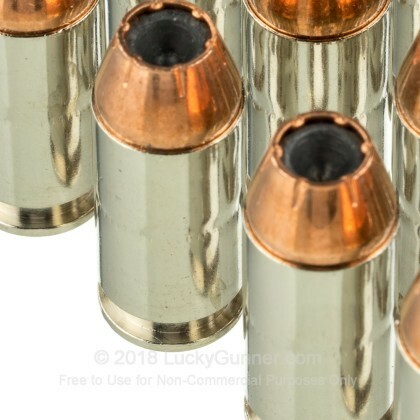 This configuration results in heavy recoil (even by .40 Smith & Wesson standards) but extreme stopping power. Make sure you grab a few boxes and get used to the kick on the range! 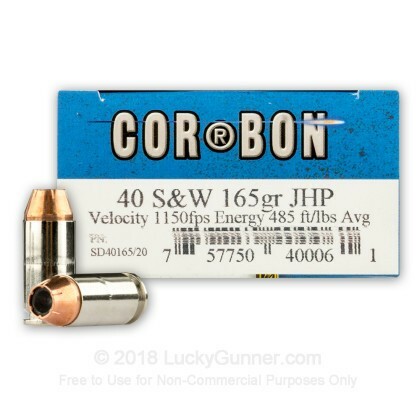 Corbon of Sturgis, South Dakota is well known for producing high quality, safely loaded "hot" ammunition. 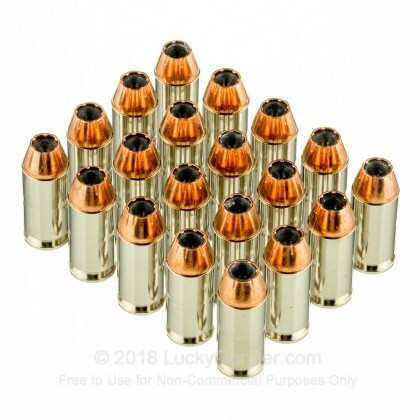 Their affordable Self-Defense line uses simple but effective hollow points with a serrated-jacket design to provide high diameter mushrooming and an estimated penetration of 9 to 15 inches. 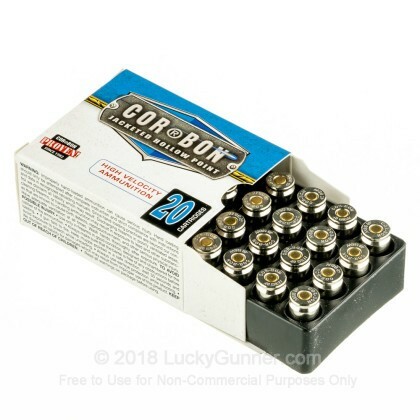 Like other Corbon products, these cartridges use non-corrosive Boxer primers and reloadable brass cases.